Supervised drug consumption facilities, where illicit drugs can be used under the supervision of trained staff, have been operating in Europe for the last three decades. These facilities primarily aim to reduce the acute risks of disease transmission through unhygienic injecting, prevent drug-related overdose deaths and connect high-risk drug users with addiction treatment and other health and social services. They also seek to contribute to a reduction in drug use in public places and the presence of discarded needles and other related public order problems linked with open drug scenes. Typically, drug consumption rooms provide drug users with: sterile injecting equipment; counselling services before, during and after drug consumption; emergency care in the event of overdose; and primary medical care and referral to appropriate social healthcare and addiction treatment services. With the emergence and rapid spread of human immunodeficiency virus/acquired immune deficiency syndrome (HIV/AIDS) linked to epidemics of heroin use and drug injecting in the 1980s, a range of responses geared towards reducing the harms associated with drug injection and other high-risk forms of use were developed in Europe. These included services such as outreach, peer education, health promotion, the provision of clean injecting equipment and opioid substitution treatment. While harm reduction as a policy started to gain wider acceptance and expanded in Europe throughout the 1990s, one of the more controversial responses has been to make spaces available at local drugs facilities where drug users could consume drugs under supervision. Concerns have sometimes been expressed that consumption facilities might encourage drug use, delay treatment entry or aggravate the problems of local drug markets, and initiatives to establish drug consumption rooms have in some cases been prevented by political intervention (Jauffret-Roustide et al., 2013). Nevertheless, as the debate about opening new drug consumption rooms remains high on the political agenda in a number of European countries, this analysis aims to provide an objective overview of their characteristics and current provision, and of the effectiveness of this intervention. Drug consumption rooms are professionally supervised healthcare facilities where drug users can consume drugs in safer conditions. They seek to attract hard-to-reach populations of drug users, especially marginalised groups and those who use drugs on the streets or in other risky and unhygienic conditions. One of their primary goals is to reduce morbidity and mortality by providing a safe environment for more hygienic drug use and by training clients in safer drug use. At the same time, they seek to reduce drug use in public and improve public amenity in areas surrounding urban drug markets. A further aim is to promote access to social, health and drug treatment facilities (see « Service model »). Drug consumption rooms initially evolved as a response to health and public order problems linked to open drug scenes and drug markets in cities where a network of drug services already existed, but where difficulties were encountered in responding to these problems. As such they represent a ‘local’ response, closely linked to policy choices made by local stakeholders, based on an evaluation of local need and determined by municipal or regional options to proceed. Facilities for supervised drug consumption tend to be located in settings that are experiencing problems of public use and targeted at sub-populations of users with limited opportunities for hygienic injection (e.g. people who are homeless or living in insecure accommodation or shelters). In some cases clients who are more socially stable also use drug consumption rooms for a variety of reasons, for example because they live with non-using partners or families (Hedrich and Hartnoll, 2015). In terms of the historical development of this intervention, the first supervised drug consumption room was opened in Berne, Switzerland in June 1986. Further facilities of this type were established in subsequent years in Germany, the Netherlands, Spain, Norway, Luxembourg, Denmark and Greece. A total of 74 official drug consumption facilities currently operate in six EMCDDA reporting countries, following the closure of the only facility in Greece. There are also 12 facilities in Switzerland (see « Facts and figures »). Breaking this down further, as of June 2015 there are 31 facilities in 25 cities in the Netherlands; 24 in 15 cities in Germany; 12 in two cities in Spain; one in Norway; one in Luxembourg; five in three cities in Denmark; and 12 in eight cities in Switzerland. In a recent development, as of April 2015 a six-year trial of drug consumption rooms was approved in France and it is expected that facilities will be opened in three cities in the coming months. Outside of Europe there are two facilities in Sydney, Australia and one medically supervised injecting centre in Vancouver, Canada. A number of features are common to the majority of drug consumption facilities, irrespective of where they are located. For example, access is typically restricted to registered service users, and certain conditions, for example minimum age and local residency, have to be met. They usually operate from separate areas attached to existing facilities for drug users or the homeless, while some are stand-alone units. Most target drug injectors, though they increasingly include users who smoke or inhale drugs. Overall, three models of drug consumption rooms are operational in Europe: integrated, specialised and mobile facilities. The vast majority of drug consumption rooms are integrated in low-threshold facilities. Here, supervision of drug consumption is one of several survival-oriented services offered at the same premises, including provision of food, showers and clothing to those who live on the streets, prevention materials including condoms and sharps containers, and counselling and drug treatment. Specialised consumption rooms only offer the narrower range of services directly related to supervised consumption, which includes the provision of hygienic injecting materials, advice on health and safer drug use, intervention in case of emergencies and a space where drug users can remain under observation after drug consumption. Mobile facilities currently exist in Barcelona and Berlin; these provide a more geographically flexible deployment of the service, but typically cater for a more limited number of clients than fixed premises (Schäffer et al., 2014). A recently published organisational overview of 62 drug consumption facilities in seven European countries (Woods, 2014) shows that they deliver a wide range of auxiliary services. In addition to providing clean injecting equipment and health education advice, and referring clients to treatment and further care, 60–70 % of facilities offer access to primary healthcare by a nurse or physician (see Figure below). Source: based on Table 6.1 in Woods, 2014. A survey of 33 consumption room managers (1) (Woods, 2014) showed that, on average, their facilities offer seven places for supervised injection (ranging between one and 13 slots) and four places for smoking/inhaling. Over half of the facilities provide the service on a daily basis, opening on average for eight hours a day. The number of daily visitors varied widely — between 20 and 400 — with six of the 33 facilities catering for more than 200 clients a day. Addiction treatment facilities and the police were identified as the main sources of referral. The first drug consumption rooms were set up in Swiss, German and Dutch cities in response to health and public order concerns linked to open drug scenes. Although set up and supported by a range of local stakeholders, the facilities were experimental in the beginning and sometimes controversial. Subsequently, local service providers, public health authorities and the police carefully monitored the situation before and after the opening of the facilities and documented whether intended changes were achieved. Outcomes were reported directly to local and sometimes national policymakers, but data were rarely published in the international literature. The results remained relatively inaccessible to the international research community until reviews in the English language were published (Kimber et al., 2003; EMCDDA, 2004). However, supervised injecting facilities established in Sydney and Vancouver as pilot projects, accompanied by well-funded university-based evaluation studies using elaborate designs (including cohort study) resulted in a substantial body of evidence (for an overview see www.sydneymsic.com and supervisedinjection.vch.ca). The effectiveness of drug consumption facilities to reach and stay in contact with highly marginalised target populations has been widely documented (Hedrich et al., 2010; Potier et al., 2014). This contact has resulted in immediate improvements in hygiene and safer use for clients (e.g. Small et al., 2008, 2009; Lloyd-Smith et al., 2009), as well as wider health and public order benefits. Research has also shown that the use of supervised drug consumption facilities is associated with self-reported reductions in injecting risk behaviour such as syringe sharing. This reduces behaviours that increase the risk of HIV transmission and overdose death (e.g. Stoltz et al., 2007; Milloy and Wood, 2009). Nevertheless, the impact of drug consumption rooms on the reduction of HIV or hepatitis C virus incidence among the wider population of injecting drug users remains unclear and hard to estimate (Hedrich et al., 2010; Kimber et al., 2010), due in part to the facilities’ limited coverage of the target population and also to methodological problems with isolating their effect from other interventions. Some evidence has been provided by ecological studies suggesting that, where coverage is adequate, drug consumption rooms may contribute to reducing drug-related deaths at city level (Poschadel et al., 2003; Marshall et al., 2011). A study in Sydney showed that there were fewer emergency service call-outs related to overdoses at the times the safe injecting site was open (Salmon et al., 2010). In addition, the use of consumption facilities is associated with increased uptake both of detoxification and of drug dependence treatment, including opioid substitution. For example, the Canadian cohort study documented that attendance at the Vancouver facility was associated with increased rates of referral to addiction care centres and increased rates of uptake of detoxification treatment and methadone maintenance (Wood et al., 2007; DeBeck et al., 2011). Evaluation studies have found an overall positive impact on the communities where these facilities are located. However, as with needle and syringe programmes, consultation with local key actors is essential to minimise community resistance or counter-productive police responses. Drug treatment centres offering supervised consumption facilities have generally been accepted by local communities and businesses (Thein et al., 2005). Their establishment has been associated with a decrease in public injecting (e.g. Salmon et al., 2007) and a reduction in the number of syringes discarded in the vicinity (Wood et al., 2004). For example, in Barcelona, a fourfold reduction was reported in the number of unsafely disposed syringes being collected in the vicinity from a monthly average of over 13 000 in 2004 to around 3 000 in 2012 (Vecino et al., 2013). The effect of the Sydney supervised injecting facility on drug-related property crime and violent crime in its local area was examined using time series analysis of police-recorded theft and robbery incidents (Freeman et al., 2005). No evidence was found that the existence of the facility led to either an increase or decrease in thefts or robberies around the facility. Similarly, a study by Wood and colleagues compared the monthly number of charges for drug trafficking, assaults and robbery — crimes that are commonly linked to drug use — in Vancouver’s Downtown Eastside the year before versus the year after the local drug consumption room opened and found that the establishment of the facility was not associated with a marked increase in these crimes (Wood et al., 2006). In areas reporting an increase in the use of inhalable drugs, such as crack cocaine smoking, drug consumption facilities that originally targeted only injectors have started to broaden their services to include supervised inhalation. Findings suggest that supervised inhalation facilities offer the potential to reduce street disorder and encounters with the police (DeBeck et al., 2011). This change in service provision is taking place in a context where there is a decrease in the prevalence of heroin injecting and an increase in access to opioid substitution treatment. In this context some facilities have adapted service provision to the needs of inner city crack-using populations. In summary, the benefits of providing supervised drug consumption facilities may include improvements in safe, hygienic drug use, especially among regular clients, increased access to health and social services, and reduced public drug use and associated nuisance. There is no evidence to suggest that the availability of safer injecting facilities increases drug use or frequency of injecting. These services facilitate rather than delay treatment entry and do not result in higher rates of local drug-related crime. Drug consumption facilities have the ability to reach and maintain contact with high-risk drug users who are not ready or willing to quit drug use. In a number of European countries supervised consumption has become an integrated component of low-threshold services offered within drug treatment systems. In Switzerland and Spain some drug consumption rooms have been closed, primarily due to the reduction in injecting heroin use and a decline in the need for such services, but also sometimes due to cost considerations. In Greece the operation of the facility was suspended after the first nine months due to delays in establishing a legal basis, and the service provider is working with the Ministry of Health to prepare its re-opening. In the Netherlands cutbacks were made following a reduction in the number of visitors, linked to the success of another programme (Plan van Aanpak Maatschappelijke Opvang) that brought homeless people into (supervised) accommodation where the use of drugs is often allowed. Alcohol consumption rooms, which tend to be located in the same building but in separate rooms, are increasingly combined with drug consumption facilities in the Netherlands (Netherlands Reitox Focal Point, 2014). The emergence of new forms of stimulant injection, including new psychoactive substances, has resulted in potentially increased risks for drug users. In this context, drug consumption rooms are currently the subject of political discussion in some European countries as calls for their implementation are debated. As frontline, low-threshold services, drug consumption rooms are often among the first to gain insights into new drug use patterns and thus they also have a role to play in the early identification of new and emerging trends among the high-risk populations using their services. Jauffret-Roustide, M., Pedrono, G. and Beltzer, N. (2013), ‘Supervised consumption rooms: the French paradox’, International Journal of Drug Policy 24, pp: 628–30. Hedrich, D. and Hartnoll, R. (2015), ‘Harm reduction interventions’, in El-Guebaly, N., Carrà, G. and Galanter, M. (eds), Textbook of addiction treatment: international perspectives, Section IV: main elements of a systems approach to addiction treatment, Springer, Milan, pp. 1291–313. Schäffer, D., Stöver, H. and Weichert, L. (2014), Drug consumption rooms in Europe: models, best practice and challenges, European Harm Reduction Network, Amsterdam. Woods, S. (2014), Organisational overview of dug consumption rooms in Europe, European Harm Reduction Network – Regenboog Groep, Amsterdam. Kimber, J., MacDonald, M., van Beek, I., et al. (2003), ‘The Sydney Medically Supervised Injecting Centre: client characteristics and predictors of frequent attendance during the first 12 months of operation’, Journal of Drug Issues 33, pp. 639–48. EMCDDA, European Monitoring Centre for Drugs and Drug Addiction (2004), European report on drug consumption rooms, Thematic Paper, Office for Official Publications of the European Communities, Luxembourg. Hedrich, D., Kerr, T. and Dubois-Arber, F. (2010), ‘Drug consumption facilities in Europe and beyond’, in Rhodes, T. and Hedrich, D. (eds), Harm reduction: evidence, impacts and challenges, EMCDDA Scientific Monograph Series No. 10, Publications Office of the European Union, Luxembourg, pp. 305–31. Potier, C., Laprévote, V., Dubois-Arber, F., Cottencin, O. and Rolland, B. 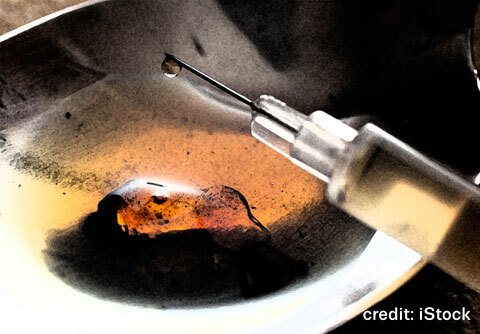 (2014), ‘Supervised injection services: what has been demonstrated? A systematic literature review’, Drug and Alcohol Dependence 145, pp. 48–68. Small, W., Wood, E., Lloyd-Smith, E., Tyndall, M. and Kerr, T. (2008), ‘Accessing care for injection-related infections through a medically supervised injecting facility: a qualitative study’, Drug and alcohol dependence 98(1–2), pp. 159–62. Small, W., Van Borek, N., Fairbairn, N., Wood, E. and Kerr, T. (2009), ‘Access to health and social services for IDU: the impact of a medically supervised injection facility’, Drug and Alcohol Review 28(4), pp. 341–6. Lloyd-Smith, E., Wood, E., Zhang, R., et al. (2009), ‘Determinants of cutaneous injection-related infection care at a supervised injecting facility’, Annals of Epidemiology 19(6), pp. 404–9. Stoltz, J. A., Wood, E., Small, W., et al. (2007), ‘Changes in injecting practices associated with the use of a medically supervised safer injection facility’, Journal of Public Health (Oxford) 29(1), pp. 35–9. Milloy, M. J. and Wood, E. (2009), ‘Emerging role of supervised injecting facilities in human immunodeficiency virus prevention’, Addiction 104(4), pp. 620–1. Kimber, J., Palmateer, N., Hutchinson, S., et al. (2010), ‘Harm reduction among injecting drug users: evidence of effectiveness’, in Rhodes, T. and Hedrich, D. (eds), Harm reduction: evidence, impacts and challenges, EMCDDA Scientific Monograph Series No. 10, Publications Office of the European Union, Luxembourg, pp. 115–63. Poschadel, S., Höger, R., Schnitzler, J. and Schreckenberg, D. (2003), ‘Evaluation der Arbeit der Drogenkonsumräume in der Bundesrepublik Deutschland’, Nr 149, Schriftenreihe des Bundesministeriums für Gesundheit und Soziale Sicherheit, Baden-Baden. Salmon, A. M., Van Beek, I., Amin, J., Kaldor, J. and Maher, L. (2010), ‘The impact of a supervised injecting facility on ambulance call-outs in Sydney, Australia’, Addiction 105, pp. 676–83. Wood, E., Tyndall, M. W., Zhang, R., Montaner, J. S. and Kerr, T. (2007), ‘Rate of detoxification service use and its impact among a cohort of supervised injecting facility users’, Addiction 102(6), pp. 916–19. DeBeck, K., Kerr, T., Bird, L., et al. (2011), ‘Injection drug use cessation and use of North America’s first medically supervised safer injecting facility’, Drug and Alcohol Dependence 15 January, 113(2–3), pp. 172–6. Thein, H.-H., Kimber, J., Maher, L., MacDonald, M. and Kaldor, J. M. (2005), ‘Public opinion towards supervised injecting centres and the Sydney Medically Supervised Injecting Centre’, International Journal of Drug Policy 16(4), pp. 275–80. Salmon, A. M., Thein, H. H., Kimber, J., Kaldor, J. M. and Maher, L. (2007), ‘Five years on: what are the community perceptions of drug-related public amenity following the establishment of the Sydney Medically Supervised Injecting Centre?’ International Journal of Drug Policy 18(1), pp. 46–53. Wood, E., Kerr, T., Small, W., et al. (2004), ‘Changes in public order after the opening of a medically supervised safer injecting facility for illicit injection drug users’, Canadian Medical Association Journal 28 September, 171(7), pp. 731–4. Vecino, C., Villalbí, J. R., Guitart, A., et al. (2013), Safe injection rooms and police crackdowns in areas with heavy drug dealing: evaluation by counting discarded syringes collected from the public space (in Spanish), Addiciones 25(4), pp. 333–8. Freeman, K., Jones, C. G., Weatherburn, D. J., et al. (2005), ‘The impact of the Sydney Medically Supervised Injecting Centre (MSIC) on crime’. Drug and Alcohol Review March, 24(2), pp. 173–84. Wood, E., Tyndall, M. W., Lai, C., Montaner, J. S. G. and Kerr, T. (2006), ‘Impact of a medically supervised safer injecting facility on drug dealing and other drug-related crime’, Substance Abuse Treatment, Prevention, and Policy 4, pp. 1–4. Netherlands Reitox Focal Point (2014), The Netherlands drug situation 2014: report to the EMCDDA by the Reitox national focal point, Trimbos Institute, Utrecht. Posted in Autres Auteurs, English, Politiques des drogues / Actualités and tagged Salles de consommation.